The Department of Petroleum Resources (DPR) in Kogi State yesterday wielded the big hammer as it sealed 12 filling stations for under-dispensing fuel to unsuspecting members of the public in the state capital, Lokoja. The NNPC filling station at phase 1 and in Gadumo were among the stations found wanting, hence they were sealed along with Dokkailiru at the Ganaja junction which was found to be duping customers almost 2 litters for every 10 liters. Others are Yisab oil and gas, DIATTO filling Station at Ganaja junction, Heroes oil limited at zone 8 round about and Abiodun and Associate at phase1. Others are Royal Confluence Oil and gas and NMPC station. 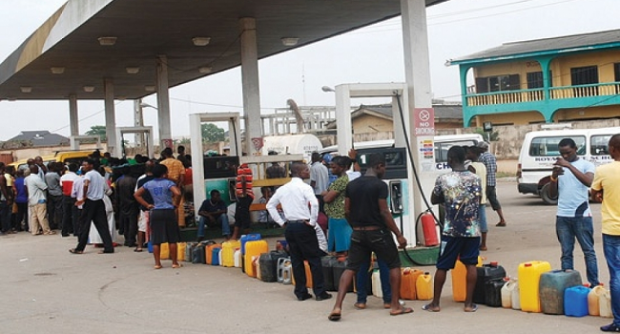 The DPR, which was on routine surveillance, uncovered shady dealings by most of the petroleum marketers whose filling stations were visited in the state capital as their meters were found to have been adjusted, thereby ripping off customers. DPR State Controller, Engr. Amos Jokodola, who led the surveillance team, said the objective of the exercise was to ensure that licensed filling stations sell fuel at the correct quantity and quality. He admonished the general public to report any marketer selling above the pump price assuring that he would mobilize his officers to the station.